Making the world a better place, one vacation at a time. This holiday season, the most heartwarming gift for a cruise fan would be a ship of your very own … but where would you dock it? (And is Santa going to chip in for gas??) 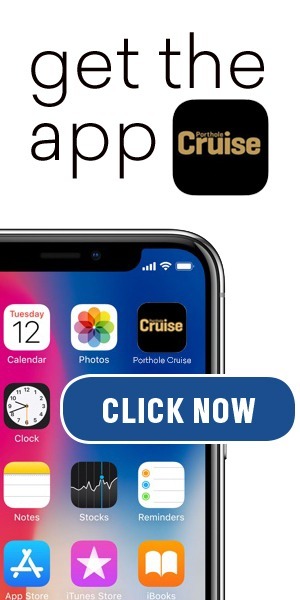 No, no, no — what you need is a cruise, of course. The holidays aren’t just about the joy of receiving gifts, though. They’re also about the warmth of giving them. And as it turns out, some of the best ways to give are also by taking a cruise, of course! Fathom made waves with the first all-voluntourism cruise brand — but many other lines have been offering plenty of ways to have a great vacation while doing good in the world. Here are five of our favorite ways cruisers give back. Did we mention Fathom as a cruise brand? 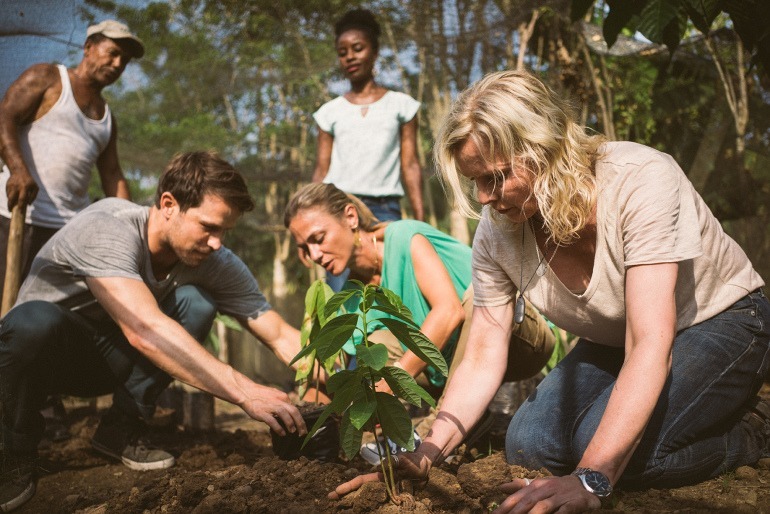 Now, the social-impact pioneer is spreading out to offering social-impact excursions across six more Carnival Corporation brands. If you’re visiting Amber Cove in the Dominican Republic with either AIDA Cruises, Carnival Cruise Line, Costa Cruises, Holland America Line, Princess Cruises, or P&O Cruises UK, you’ll be able to participate in a chocolate-making cooperative, a recycled paper-and-crafts initiative, and other experiences that help the community to help itself. This ultra-luxury brand seems to have everything — ocean ships, river ships, an airline — but it’s also got a generous heart. Crystal’s You Care, We Care voluntourism excursions invite guests and crewmembers to assist with poverty relief, environmental preservation, and improve communities with activities as wide-ranging as feeding zoo animals in Berlin, helping South African orphans with homework, or packing food for an Estonian food bank. 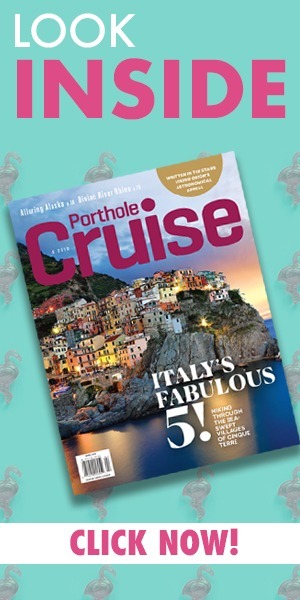 Holland America lets guests give back in the Cruise with Purpose tour collection. Thoughtful cruisers can travel to ports as far-flung as Lisbon (where fragile wetlands provide home to endangered birds), Huatulco (where a cactus plantation provides good jobs), and Juneau (where humpback whale researchers study these gentle giants), among many more. Those who sign on to the tours can help scientists draw plankton samples, plant trees at a koala sanctuary, bring supplies to orphanage, and more. The Alaska program has been going strong since 2009. Though (as the name implies) one of the smallest operators on this list, Blount has its own way to do good. They’ve got a longstanding relationship with the Casa Guatemala orphanage, which guests can visit on Central American cruises departing from Belize City and calling on Guatemala’s Rio Dulce. You can spend time with the kids and have the option of buying them supplies from a list of necessities. The ship’s crew also auctions off Guatemalan art, with the proceeds supporting Casa Guatemala. Carnival Cruise Line regularly supports St. Jude Children’s Research Hospital, and even set a goal to raise $10 million by 2020 as the hospital’s Official Celebration Partner. On all Carnival ships, passengers can donate $10 to join the “Groove for St. Jude” fundraising dance party in onboard nightclubs, and kids can build stuffed animals in the “Beary Cuddly” program, with proceeds from the sale of the bears going to St. Jude. There are also special items for sale in the ship’s bakeries and the onboard shops that raise funds for the hospital.